For the teriyaki sauce, heat sake, mirin, soy sauce and brown sugar in a small saucepan over medium heat. Bring to the boil, then simmer on low for 3-4 minutes or until the sugar dissolves. Set aside until ready to cook. Thread chicken onto skewers. Then take 2-3 sheets of leek and roll into a cylinder. Thread the rolled leeks onto skewers. Heat a large non-stick frying pan over medium heat. Brush the pan with a little oil. 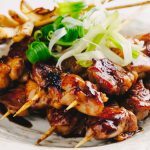 Cook chicken skewers for 2-3 minutes each side or until almost cooked. 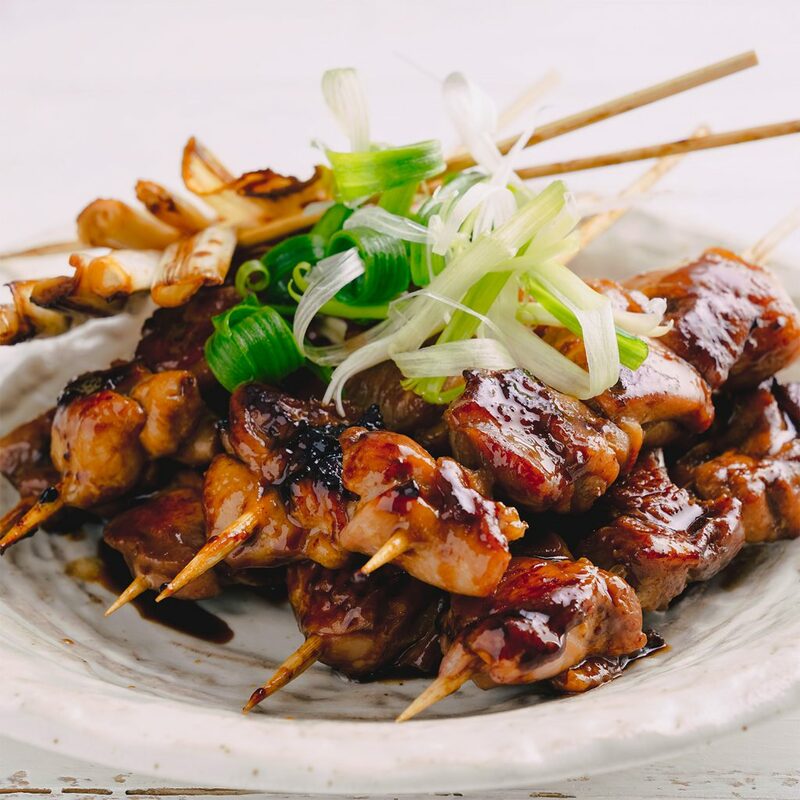 Brush chicken with a generous amount of teriyaki sauce. Turn and brush the other side. Keep turning and basting chicken until sauce thickens and chicken is cooked through. Do the same with the leek skewers. 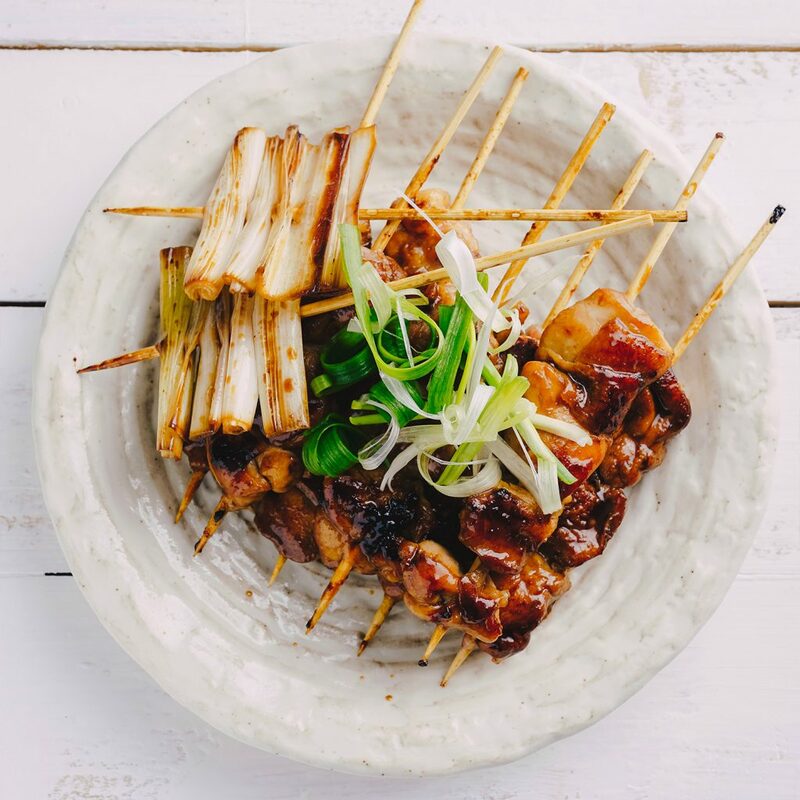 Transfer skewers to a serving plate. Top with spring onion to serve.